Mr. Tines wrote: Japanese robots are exploring an asteroid. Don't let the fact that the asteroid in question could take the role of Axis concern you. It's nice to see he final frontier being explored. But does JAXA have the ability to go up in space to recover an EVA yet? ^ Something something cash money? I mean, unless there's some other reason I can't fathom, which is possible, but in this case the money from interested (and wealthy) parties has got to be the main motivator. Why else build a replica of the most widely recognized sunk ship? What's next, the Lusitania II? DarkBluePhoenix wrote: What's next, the Lusitania II? Last edited by silvermoonlight on Thu Oct 25, 2018 6:27 am, edited 1 time in total. Ah that's interesting wasn't aware of that. Speaking of shipwrecks, the oldest on ever found, dating back to ~400 B.C. has been confirmed in the Black Sea. » The Kepler Telescope has run out of fuel, leaving her dead in space. » Hubble back in action after gyroscope issues were resolved. » NASA will continue trying to contact Opportunity through January. ...so, to continue with the space news - those are not the aliens, I repeat: those are not the aliens; move along. Japan set to allow gene editing in human embryos. Mr. Tines wrote: Japan set to allow gene editing in human embryos. ErgoProxy wrote: ...so, to continue with the space news - those are not the aliens, I repeat: those are not the aliens; move along. Oh my lord... its the WHALE PROBE!!!!!!!!!!!!!!!!!!!!!!!!!!!!!!!!!!!!!!!!!!!!!!!!!!!!!!!!!!! 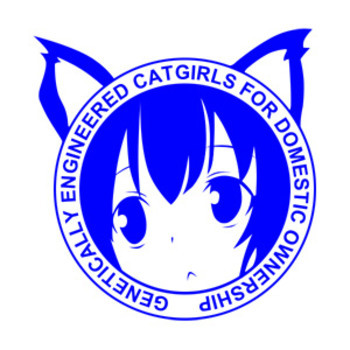 I am fully supportive of nekogirls being bred, because that is literally the only thing that could happen... or we get to have the Eugenics Wars Star Trek was always going on about. Sorry for the double post, however I forgot to mention this earlier, and it does deserve a separate post. Today marks 100 years since the end of WWI. We remember this day in the US as Veteran's day, though elsewhere it is remembered as Armistice Day or Remembrance day, it is a day to say thank you to all those in the military who are serving, and to all those who have served, and I do say thank you. (cough) Except that here it's The Independence Day, aka The Respect Our Fascists Day, aka The We're No Fascists We're Just Burning The Flag Day. Respect our manly otherness and culture, you pussies! Now this is a puzzle I need to think over a while to solve. To add a bit to the puzzle, if you're not half-Rheinish, you never know. Most of the Prussian peasantry were Slavs or Balts, convinced in some moment of history to abandon their speech and adopt German customs. Also, in medieval ages Polish royals brought literally tons of German settlers to boost the economy of their realms. So it wouldn't be surprising much to find out that once ago our ancestors lived door to door, in the same town or village. Cheers! As an Austrian, I do what all of us Austrians tend to do when the bad parts of our past comes up. Acknowledge it politely, then resume doing your stuff, ignoring it for the rest of the day.